All professional sumo wrestlers are listed on a 58×44 cm sheet of paper that is released about two weeks before the start of each tournament. For the ongoing basho that amounts to 636 men ranked in order from yokozuna Kisenosato at the top all the way down to 41 year old Daigonishiki at jonokuchi 27. Watai, who at 16 is a full quarter-century younger than Daigonishiki, is also at jonokuchi 27 but the east side of the banzuke is considered higher than the west. Rankings are decided at the judging department meeting a few days after the end of a tournament. There is a lot of subjectivity as well as differing opinions among those involved with the result that each new release always contains some surprises. A general rule of thumb, however, is that a winning record will see you move up on the following banzuke while a losing one will drop you down the rankings. The calligraphy used is a special sumo style and the original banzuke (which is four times larger than the paper copies sold) is handwritten by gyōji and can take up to a week to complete. Holding up the banzuke and pointing to your new rank is a standard pose for new promotes to the jūryō division as well as other significant ranks. The day a banzuke is released there is no training in sumo stables. 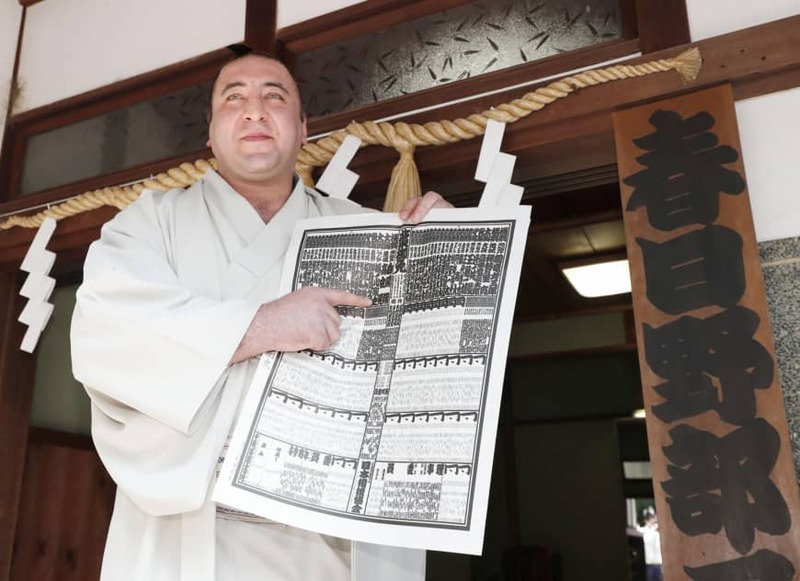 Instead, wrestlers spend hour upon hour stamping, folding and mailing out hundreds if not thousands of copies of the banzuke to supporters of the stable. Fans can also pick up a copy of the banzuke from Ryogoku Kokugikan that morning. 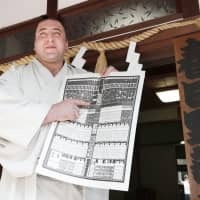 They usually go on sale at about 6 a.m.
About 480,000 banzuke were printed for the May tournament last year, but that number has been as high as 700,000 in the past.